Product Description: The firebreathing V-8 Hemi powered the most beloved, respected and powerful cars to ever roll out of Detroit. The Hemi engine dominated on the drag strip, on the oval track, and on the streets of America from coast-to-coast. 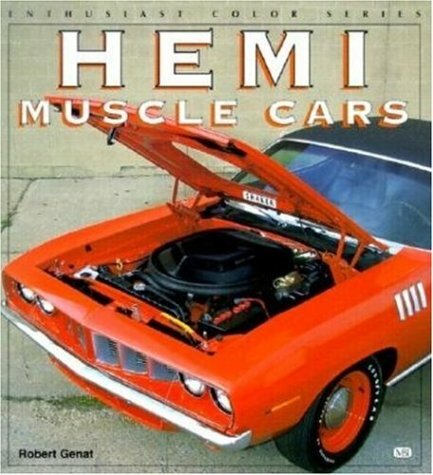 Featured here in vivid color are Chrysler's Hemi-powered muscle cars, including the Roadrunner, Charger, Charger Daytona, Barracuda, Challenger, Super Bird, Super Bee, GTX and more. Includes coverage of Hemi race cars.